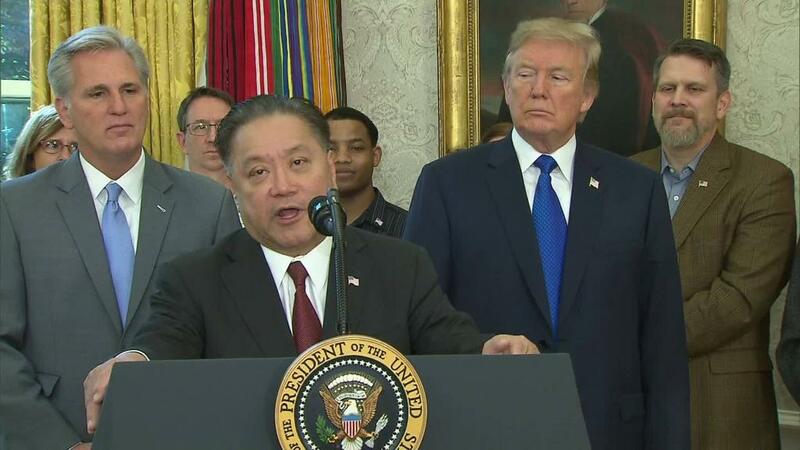 President Donald Trump has blocked Broadcom's $117 billion bid for Qualcomm, citing national security concerns. The United States is particularly worried that the takeover could boost China's influence in 5G technology. We asked foreign investment and technology research experts to share their thoughts on the decision. I am troubled by the US's decision to block Broadcom's takeover of Qualcomm. Even though the President was motivated by patriotic reasons, I think that this sort of decision is very un-American in that it restrains free trade. The concern about Broadcom stifling American innovation by cutting funding for Qualcomm's research and development is a red herring. If the administration wants to support American innovation, why doesn't it take steps to promote and reward such activity rather than just strike it down? Allowing Broadcom to go ahead while providing grants and credits for research and development is the right answer. Stifling progress is the wrong answer. Michael Block is the Chief Strategist at Rhino Trading Partners, an equity research and trading firm. He publishes a daily note on investment strategies, and was previously the chief equities strategist at Phoenix Partners Group. If the US being ahead in future wireless technologies is important to national security, then this was undoubtedly a good decision. Broadcom is a much shorter-term technology innovator than Qualcomm and there were big concerns research for Qualcomm would be cut. I never did like this deal as it was like combining oil and water. Patrick is the founder, president and principal analyst of Moor Insights & Strategy, a technology research firm. He has served as an executive board member of the Consumer Electronics Association, a trade organization, and the American Electronics Association, a non-profit industry group. I believe this move by the Trump administration was a stunner to Wall Street and was ultimately a knock-out blow to the Broadcom/Qualcomm potential marriage. Given the 5G battle, China dynamic and the national security concerns, I believe this decision by Trump was a smart strategic move which was exacerbated by Broadcom not playing "nice in the sandbox" over the last few months. Daniel Ives is the Chief Strategy Officer and Head of Technology Research at market research firm, GBH Insights. His research focuses on the smartphone ecosystem, cybersecurity, cloud computing, social media, augmented reality and big data. There are some who may question whether the decision was truly a national security issue, but few will question whether or not it's good for the long-term health of the US tech economy and the advancements of critical telecom industry standards, particularly 5G. Qualcomm has ruffled the feathers of some companies and governments because of the incredibly broad range of patents they hold and license, but they achieved that status because they have been driven to innovate and develop solutions to tough technical problems in cellular and other wireless networks for a very long time. Ultimately, this decision will allow not just the telecom industry, but the entire tech world to continue innovating at the pace that's needed to meet the critical demands that we are all placing on achieving ultra-reliable wireless networks. Bob O'Donnell is the president and founder of TECHnalysis Research, a market research firm specializing in the tech industry. He's also the author of "Personal Computer Secrets," a 936-page reference volume on computer technology. Two years ago, this deal would've gone through without any obstacle. Now, with all the concerns about China, it's really hard to get approval. As a defensive measure, it makes sense that the US has blocked the deal. But it won't serve the long-term problem, which is that we'll end up depending on Chinese telecommunications equipment which will make us vulnerable to Chinese espionage. Jim Lewis is a senior vice president at the Center for Strategic and International Studies. Before joining CSIS, he worked at the Departments of State and Commerce as a Foreign Service officer and as a member of the Senior Executive Service.